Bathrooms can be one of the most challenging rooms to overhaul. Renovating them can not only put a strain on your time and budget, but it puts the room out of commission while the work’s being done. No one wants to renovate their bathroom more often than necessary, and for this reason many people are afraid to use color — what happens if the colors you choose fall out of favor and affect the value of your house? But white isn’t the only way to downplay the risk. Here are six color combinations that will always be winners. 1. Black and white. This is a classic combo that became ultra-popular during the Art Deco period of the 1920s and ’30s. Bold black and white geometric shapes on floors and walls have stood the test of time. 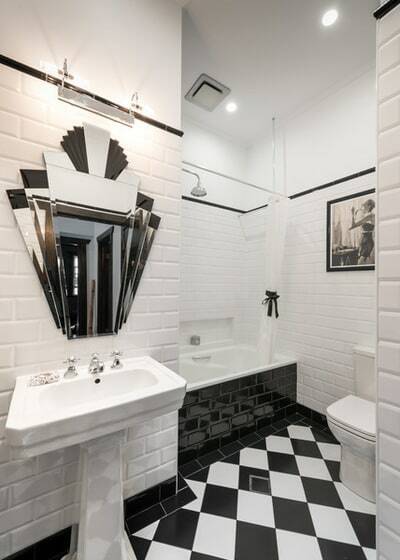 Use checkerboard tiles, chrome fixtures and silver-framed mirrors and you’ll have a look that’s as stylish now as it was then. 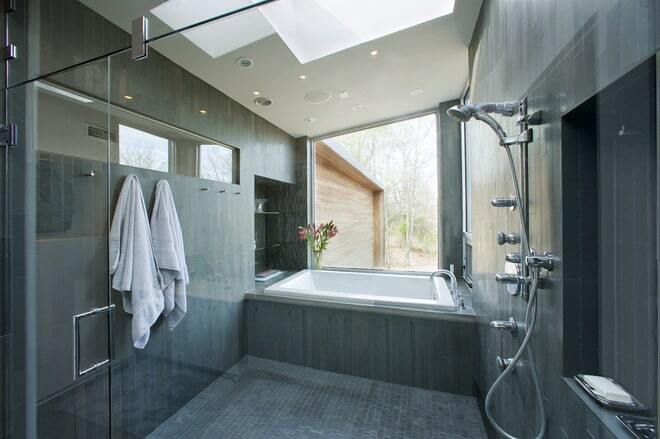 contemporary bathroom design works just as well with a monochrome color scheme as one that’s more Art Deco. Charcoal walls add some dramatic flair in this Melbourne, Australia, bathroom. Do: Jazz it up with some bold red or yellow towels and accessories. Don’t: Make it too busy or fussy. 2. Aqua, chocolate and white. 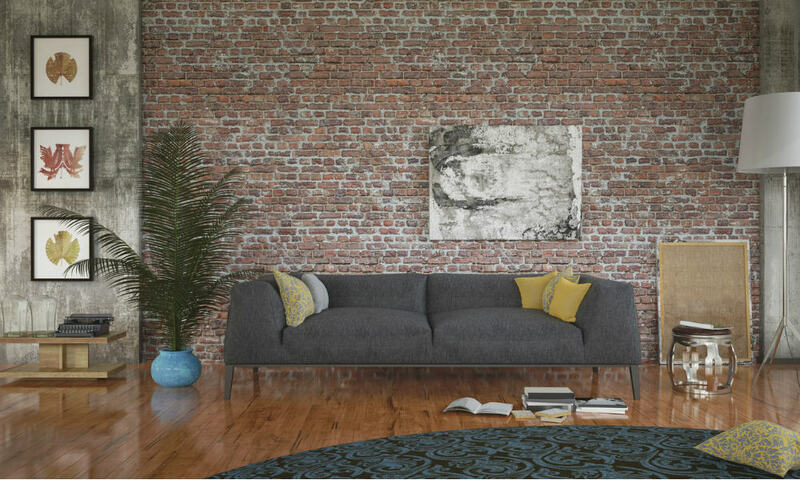 This combination is a nice balance between traditional and contemporary. 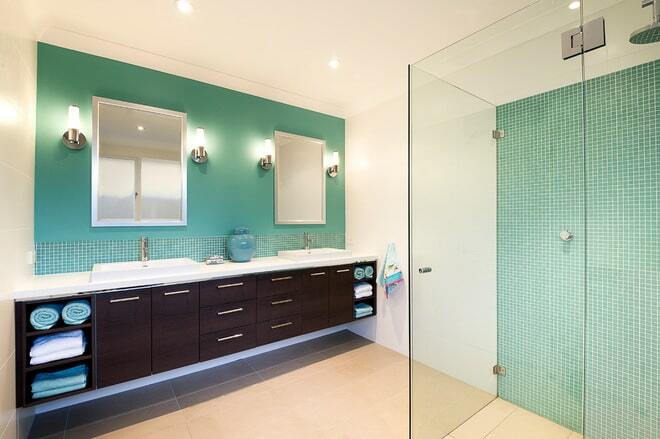 Use aqua and white to make the room feel cool and airy, then add a deep chocolate vanity and beige flooring for warmth. If you’re going for a spa-like feel, this combo is a classic. 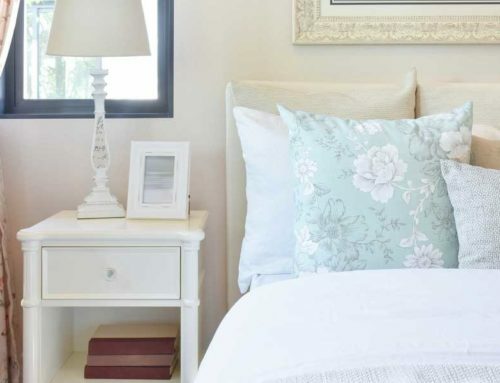 Add aqua and white towels for extra luxury. Do: Check the positioning of the lighting to ensure it doesn’t throw unflattering blue-green light on your skin. Don’t: Use too much chocolate. Overindulgence is never a good thing. Natural wood can work as nicely as chocolate with this fail-safe color combo. 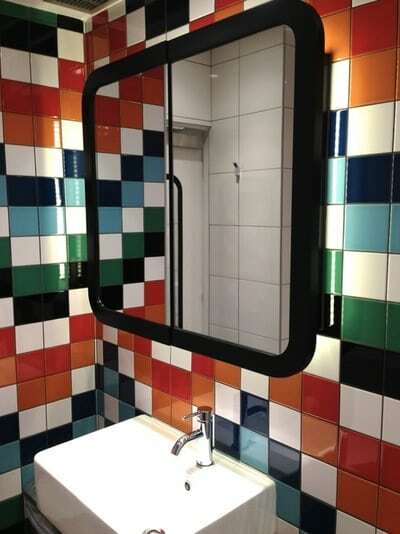 This bathroom by Camilla Molders may be bold, but it won’t ever be outdated. If aqua is a little too out there for your sensibilities, why not stick with the same color scheme but tone it down a notch or two? 3. Mocha and creamy white. Mocha tones make this bathroom warm and inviting. Start your color palette with one shade of mocha and a creamy white, then layer with various espresso-inspired shades to create some movement and depth. Just remember that darker shades advance and lighter shades recede. Use blocks of color to highlight areas such as the bathtub to provide interest and direction within the room. Do: Use a standout dark tone such as the one under this bathtub to ground and unite the color scheme. Don’t: Add any bold or bright colors. They won’t work with this more subdued aesthetic. If you’re looking to cool the bathroom down a little and creamy white isn’t your thing, use a crisp white instead. Contrast it with a rich, warm mocha on the floor and bring it through to highlight the vanity and wall. 4. Monochromatic grays. To create a clean and simple look, add various shades of gray to keep your bathroom flowing and to provide depth and orientation. Add some fresh flowers or a lush and leafy potted plant and you’ll create a beautiful, classic environment. Carrara marble was first used in ancient Rome and has featured on many notable monuments and buildings ever since. The gray and white veining of the marble gives any bathroom a luxe look. Do: Go for a quartz product offering a similar look if Carrara marble is out of your price range. Don’t: Use gray if you find it depressing rather than soothing or uplifting. 5. Blue and yellow. If you’re ever in doubt about color combinations that work, look to nature. 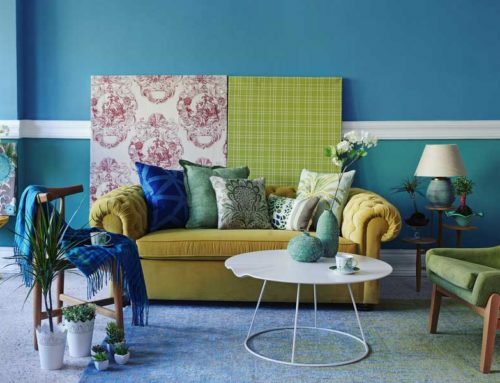 Blue and yellow are a classic mix, akin to the sun rising in a clear blue sky. 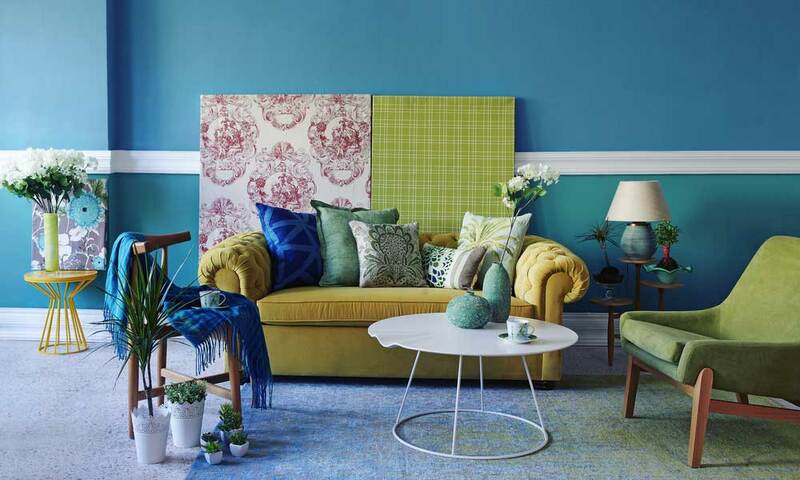 For a cooler feel, use sky or ocean blue as your dominant color and accent with bright yellow. To warm your bathroom up a little, choose yellow as the dominant color through tiles or paint and accent with blue. Given its sunny disposition, this combo is great if you live by the water. 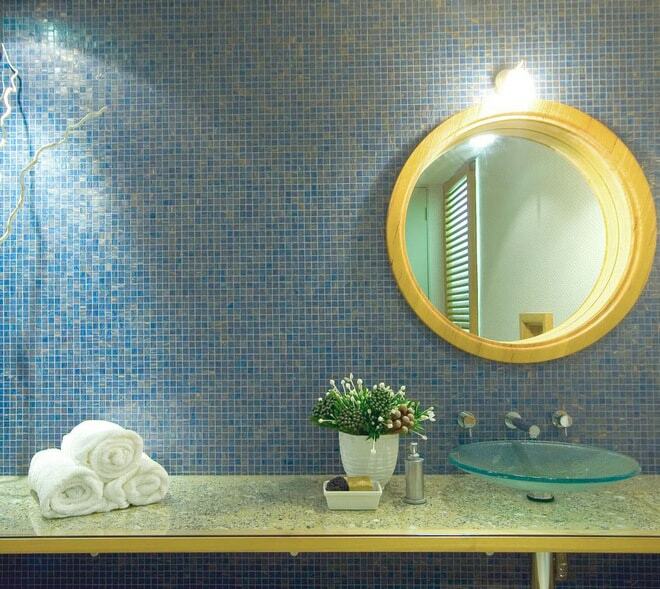 Do: Think about using traditional blue mosaic tiles, which don’t ever seem to grow stale. 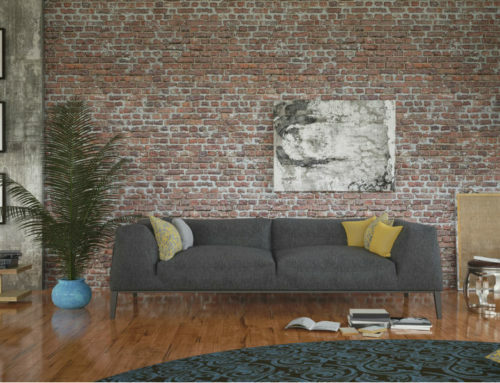 Don’t: Overdo it with the yellow because it can become overbearing, particularly in a small room. 6. Double complementary colors. In color theory, this scheme just works. A pair of complementary colors (those that sit opposite each other on the color wheel, such as blue and orange) works well alongside another set of complementary colors (in this case, red and green). The result is called a double complementary color scheme. 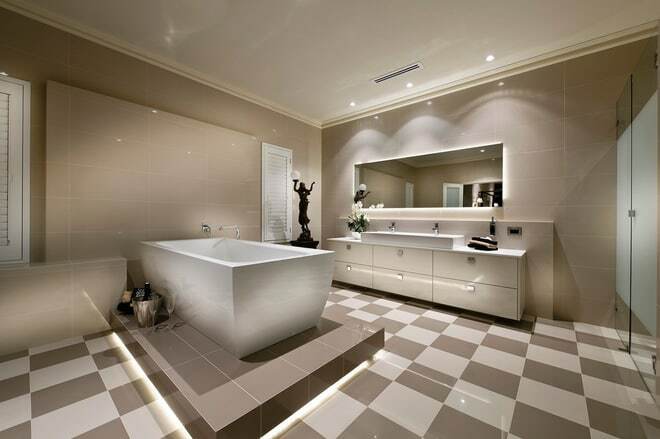 Add black and white to bring the colors into balance and you’ll create a bathroom with wow factor. This combo is not for the faint-hearted but, if executed correctly, it will definitely go the distance. 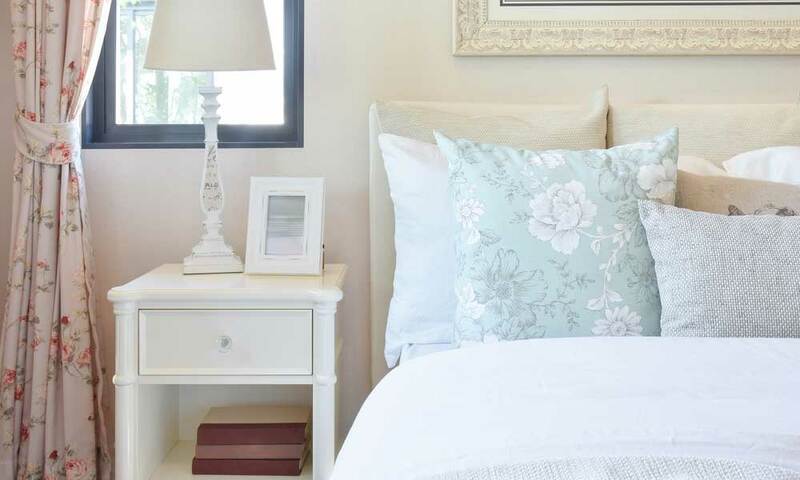 Do: Be strategic with the placement of color to ensure the scheme is cohesive. Don’t: Use this color combo if you don’t love it wholeheartedly — it won’t become outdated, but you might get sick of it.